HERE AT EMA, WE REACH HUNDREDS OF MILLIONS OF PEOPLE THROUGH OUR SOCIAL MEDIA CAMPAIGNS. 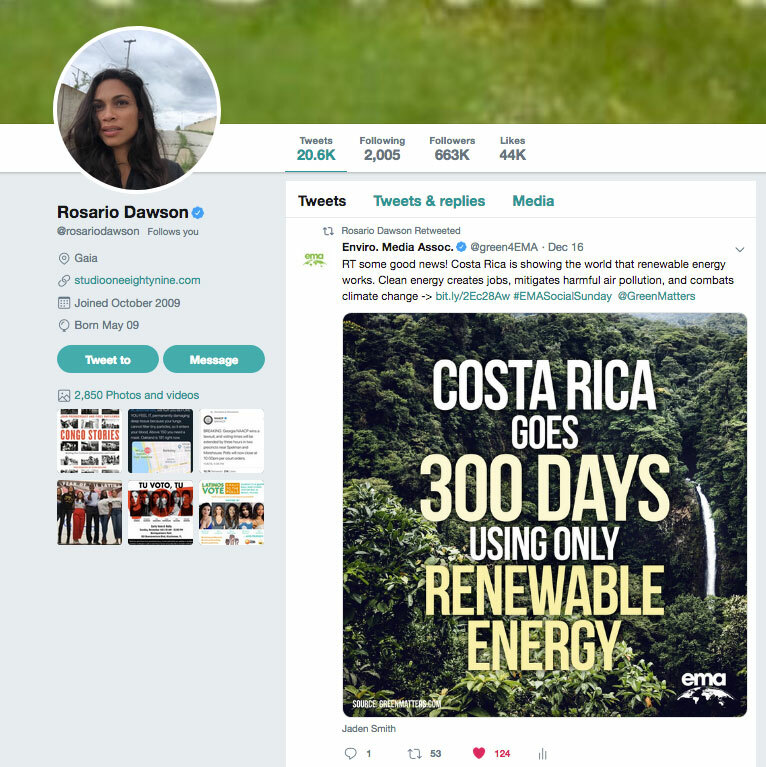 UTILIZING THE VAST SOCIAL REACH OF OUR CELEBRITY BOARD MEMBERS, WE CAN INSPIRE PEOPLE TO TAKE ACTION TO HELP OUR PLANET. Your voice matters! Share the posts below to help EMA spread the message that green is working. This is truly wonderful...This week we are sharing some hopeful news out of California! Cali has just become the first state to require solar panels on most new homes The mandate—which was originally approved by the state's energy commission in May—applies to all houses, condos and apartment buildings up to three stories tall that obtain building permits after Jan. 1, 2020. As an #EMA_BoardMember @green4ema, I'm thrilled to partner with @HM to spread the word that garment recycling can prevent textiles from ending up in trash bins and landfills. Don't toss your old clothes! You can recycle your used clothes, towels, and sheets at any H&M. Since the launch of the Garment Collecting Initiative, H&M has collected more than 163 million lbs. of textiles globally. #recycle #repurpose Let’s do this together! Taking action 👊🏻 So proud of Cali 💜 #Repost @echriqui ・・・ This is truly wonderful...This week we are sharing some hopeful news out of California! Cali has just become the first state to require solar panels on most new homes The mandate—which was originally approved by the state's energy commission in May—applies to all houses, condos and apartment buildings up to three stories tall that obtain building permits after Jan. 1, 2020.